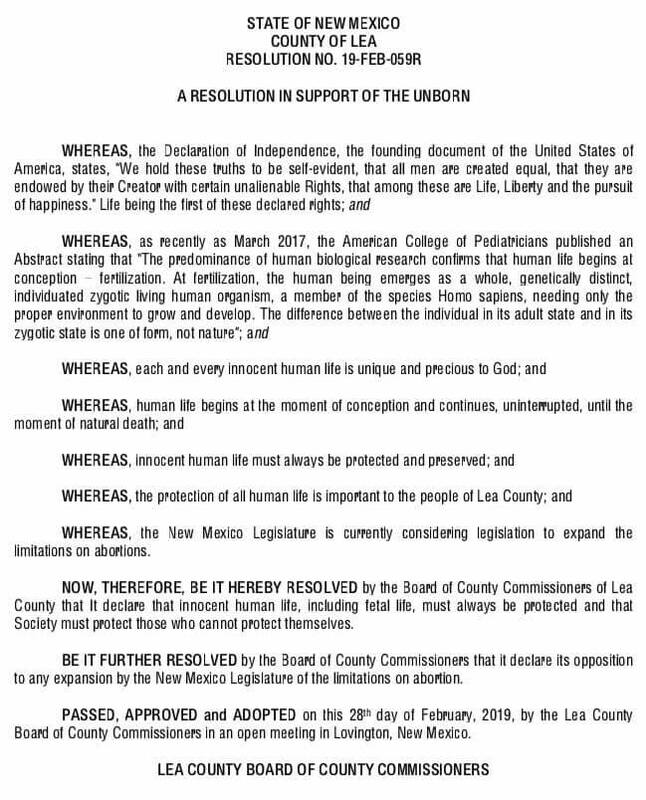 Lea County, NM- On February 28, 2019 Lea County Board of County Commissioners passed, “A Resolution In Support of the Unborn” making Lea County the FIRST Sanctuary County in New Mexico for the UNBORN! Jonathan Sena, District 4 County Commissioner sponsored the resolution. Thank you and God Bless Lea County, New Mexico! New Mexico let’s get 33 counties onboard defending LIFE!